Uncomfortable Plot Summary: Catholicism cockblocks another one. First Sentence: When I reached 'C' Company lines, which were at the top of the hill, I paused and looked back at the camp, just coming into full view below me through the grey mist of early morning. To begin, I have to note that I read a "revised" edition because that was what I found at the public library. The revision was by Evelyn Waugh, about 15 years after the book's original publication, and in his preface he states that he made "many small additions and some substantial cuts." I'm not sure exactly what these additions and cuts consisted of, and I'm really irritated with the notion of revised novels in the first place (I'm looking at you, Stephen King), but I suppose that the more recent version is likely to be the one that the author stands by, so it should still make sense to review. The book begins in the self-indulgent tone that I so recently despaired of in my review of The Adventures of Augie March. Charles Ryder is a disenchanted British Army captain moving troops around the English countryside during the Second World War. 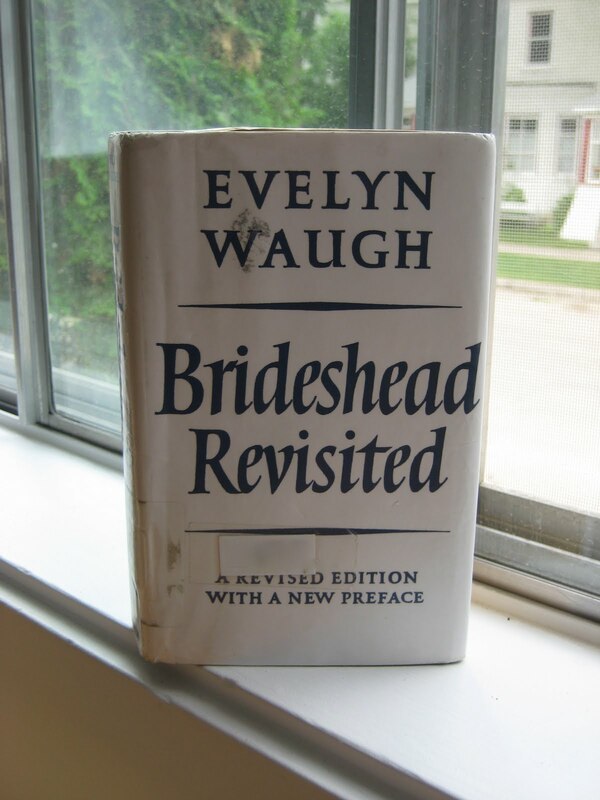 However, it just so happens that he ends up moving them to a place called Brideshead, a house that he knows very well. Cut to Charles' college (Oxford) days, where, at the age of 18, he meets Sebastian Flyte. Sebastian carries a teddy bear named Aloysius everywhere he goes, but is otherwise a very charming young man, of the sort that I wonder whether anyone has actually met in real life (but excellent nevertheless). Charles, Sebastian, and a selection of other rich young men engage in some debauchery and eventually Charles and Sebastian become very close friends. In fact they fall into that sort of platonic love that Englishmen are apparently so susceptible to (Sebastian's father's mistress makes some comments to this effect at some point). Sebastian reluctantly introduces Charles into his home environment of Brideshead, "where [his] family lives," and Charles essentially spends the rest of his life running into these people. It's difficult to get into this too much without giving everything away. My favourite thing about the book was the friendship between Charles and Sebastian. I wish it could've continued throughout, even though it's more realistic that it doesn't. I find the relationships between men endlessly fascinating, and books are the only experience I have of what's going on under the surface, so they're endlessly fascinating by association. There's also an unexpected undercurrent of religion throughout this entire book that I, as an apostate, really appreciated. It poses questions about how hard old habits die, basically, when, at the end of everything, it's time to come to terms with your sins. Waugh's writing is, I think, best described as unobtrusive, in that I didn't really notice it as being either clunky or good. In his preface he pointed out a couple of passages that I then ended up keeping an eye out for, grand speeches that no one would ever spontaneously make in real life, but enjoyable regardless. I'd say if you're interested in reading about rich English Catholics in the first half of the 20th century, give this book a read. If not, you can probably skip it. "Ought we to be drunk every night?" Sebastian asked one morning.